This is the land you’re looking for. 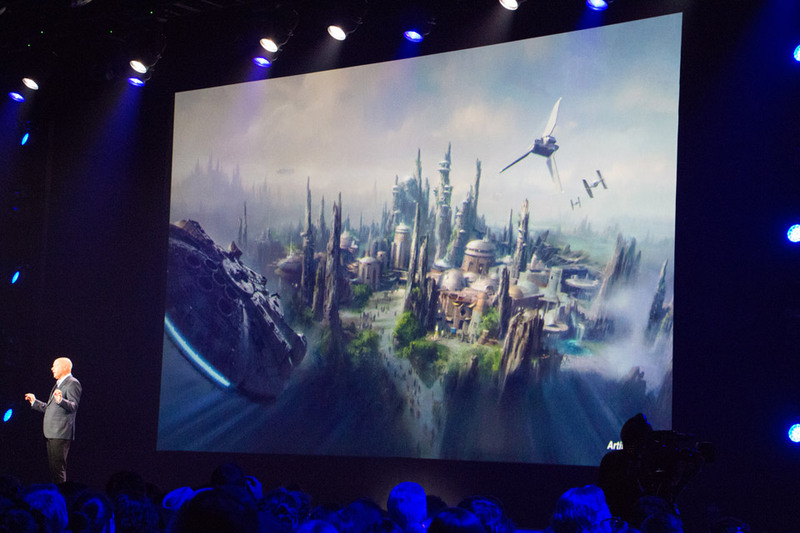 Disney shared the biggest news for their stateside parks in recent memory: Star Wars themed lands will be coming to Disneyland and Disney’s Hollywood Studios. And they look amazing. The 14-acre expansions will be the largest single-themed lands in any Disney theme park. For comparison, Cars Land is 12 acres and it feels massive. 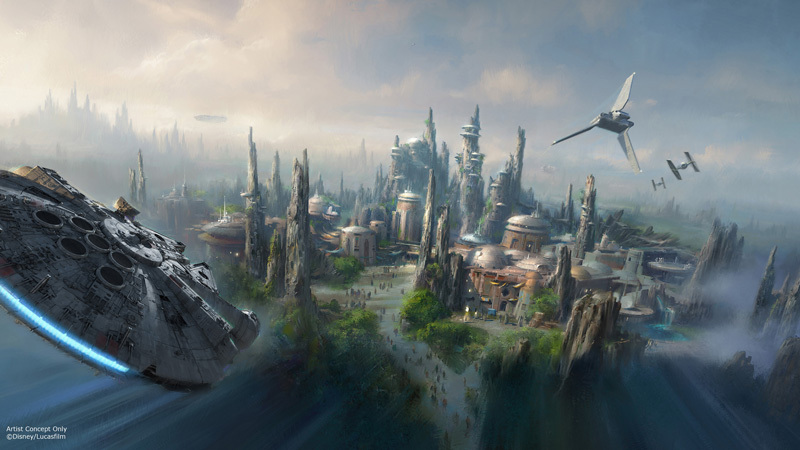 The land will transport guests to an entirely new planet located on the outer rim, which as a trading post finds itself smack dab in the middle of the conflict between the Resistance and the First Order. The yet-to-be-named planet looks both new and exciting yet familiar and distinctly Star Wars. There are elements that are reminiscent of Tatooine, Endor, or even Naboo, but it feels exotic and appropriately run down and lived in. 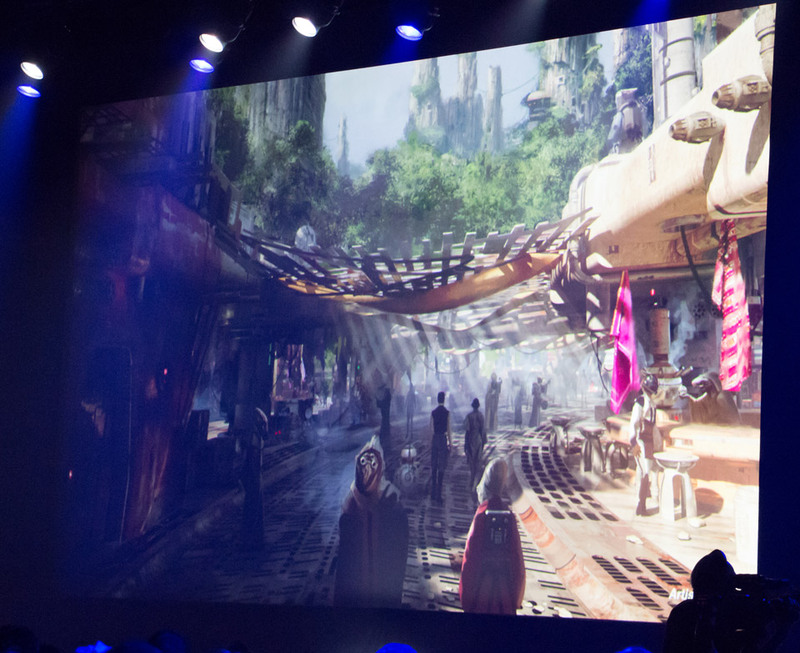 Based on the concept art, Disney is looking to set a new standard for immersion in themed entertainment. 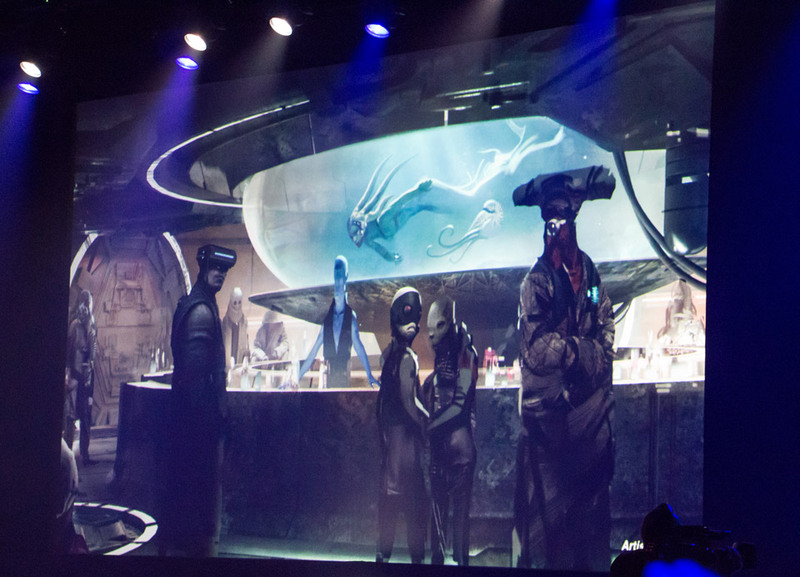 Denizens of the Star Wars galaxy will roam the streets, and every shopkeeper and vendor guests will interact with will be in character. The land will feature two attractions that sound like they could be E-Tickets in their own right. 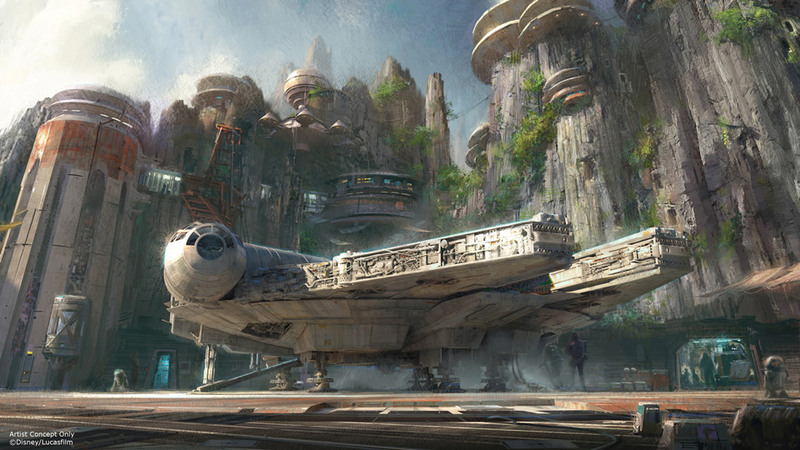 One will allow guests to fulfill a lifelong dream and pilot the Millennium Falcon. The next was only described as putting guests in the middle of a battle between the First Order and the Resistance. 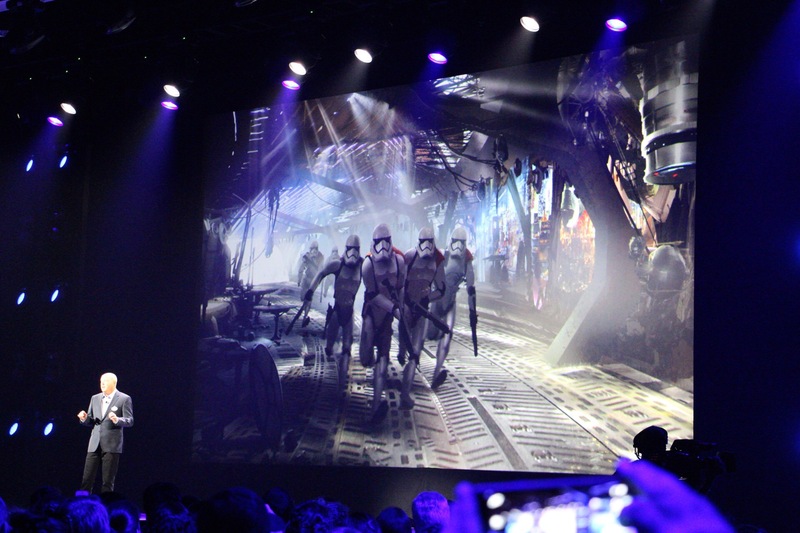 The second attraction was accompanied by a still of Stormtroopers, which has me personally excited for the prospect of a Star Wars ride that doesn’t involve flying through space, since that’s all we’ve ever experienced. 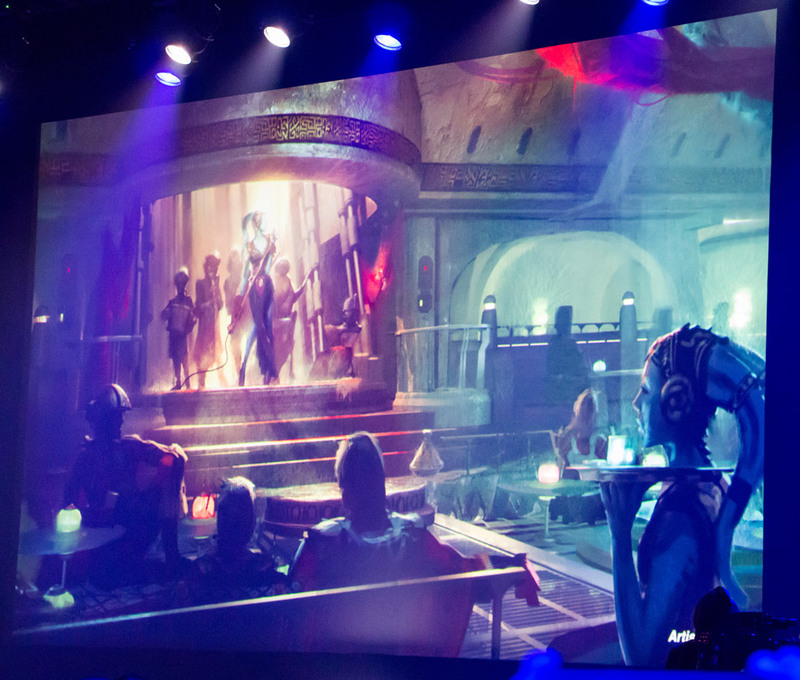 Of course, what galactic trading post would be complete without a cantina? This looks like it might become my new favorite hangout at Disney World. 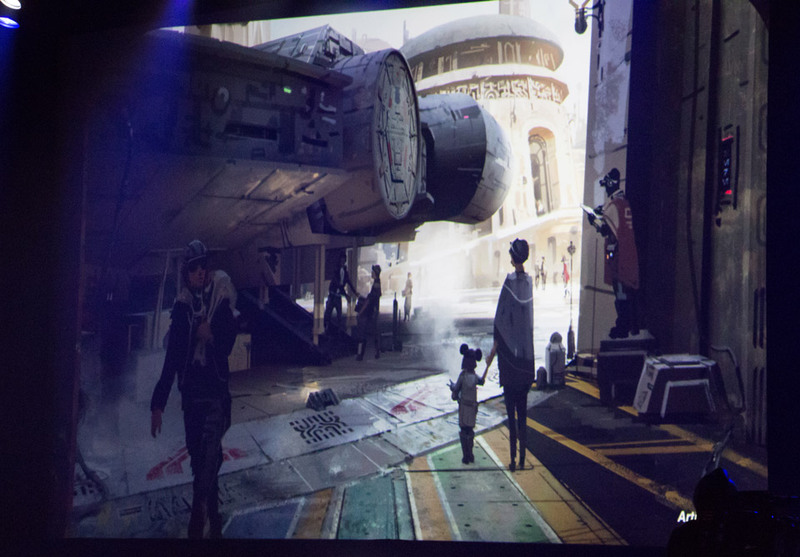 Here’s some more concept art that was shared at D23. 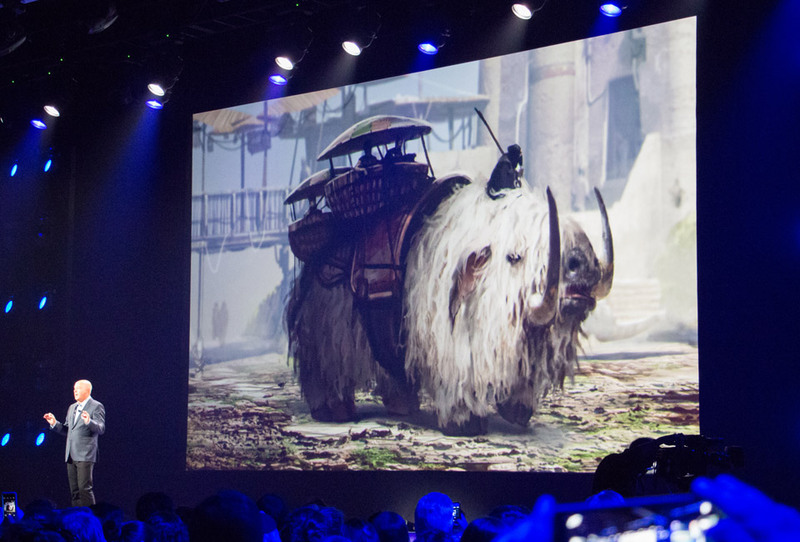 If this announcement is any indication, it seems like Disney is taking this Star Wars expansion seriously. The scale and level of detail are massive, and the idea of adventuring in a completely new planet sounds incredible. No opening date was given, but it sounds like this amazing expansion is at least a few years out. But, hey, at least The Force Awakens is only a few months away. Doesn’t seem that long now.